For me, nothing screams springtime like fresh flowers in bright, pastel colors. So that’s exactly the theme of today’s kid craft tutorial. 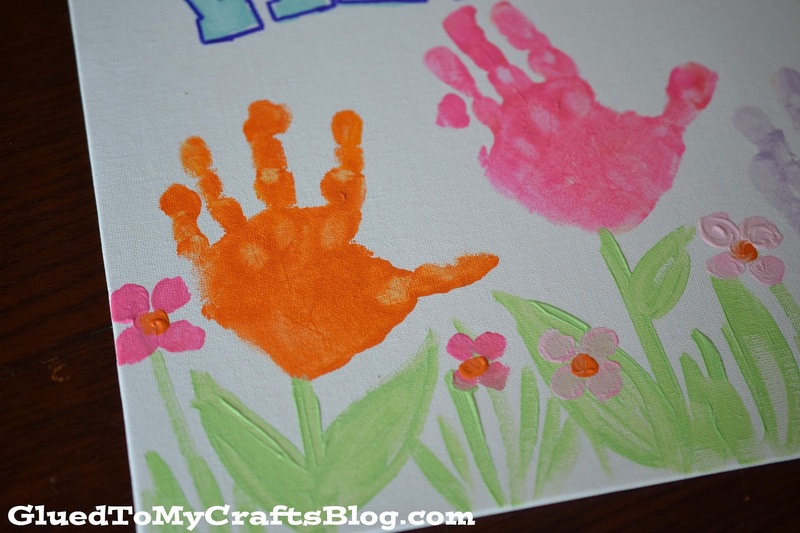 Using some paint and my son’s hands, I turned handprints into flowers for a festive canvas decor. 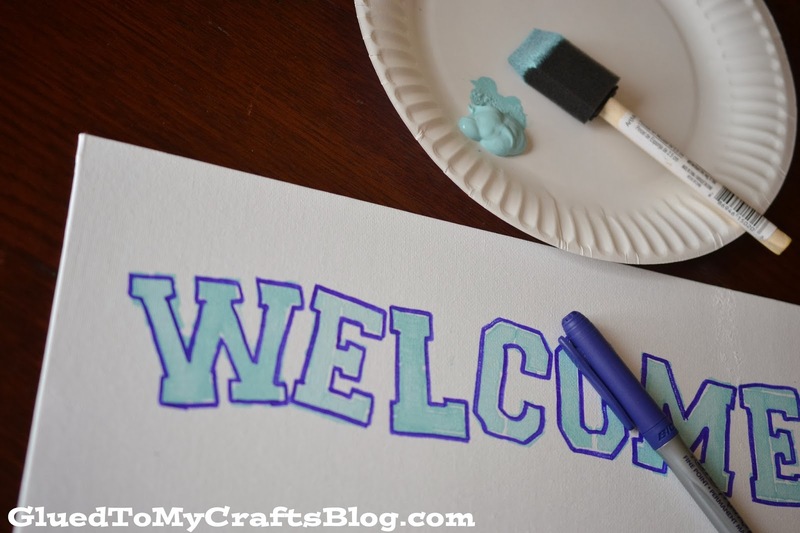 Adding “welcome” to it, made it perfect to hang on our front door. I like to think the handprints are waving “hi” at our guests as they approach our door. 1. 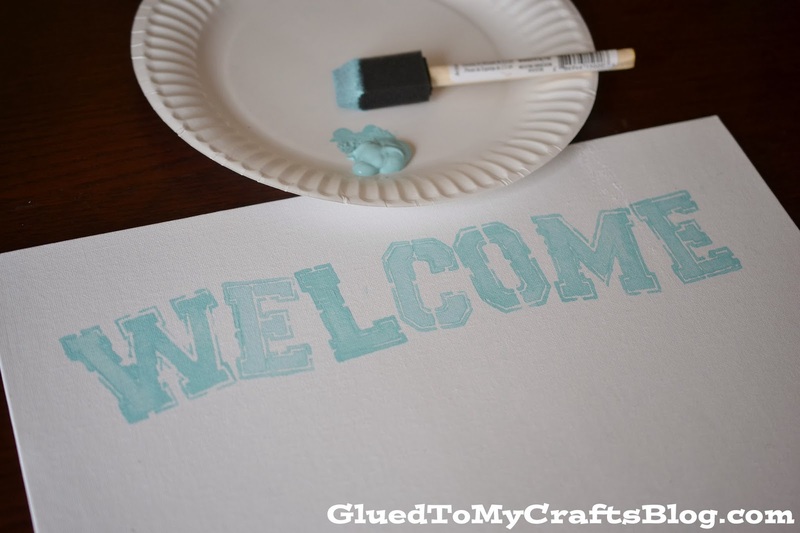 First I stenciled/painted “welcome” onto the canvas. After I was done, there were a few spots I didn’t like and I felt like it didn’t stand out as much as I wanted it to. So I took a sharpie and outlined the letters. 2. Next were the handprints. For this, I just painted my son’s hands and had him press them on the canvas. 3. To finish off the canvas, I painted on details like a stem for the flowers, as well as grass and other little details on the bottom. 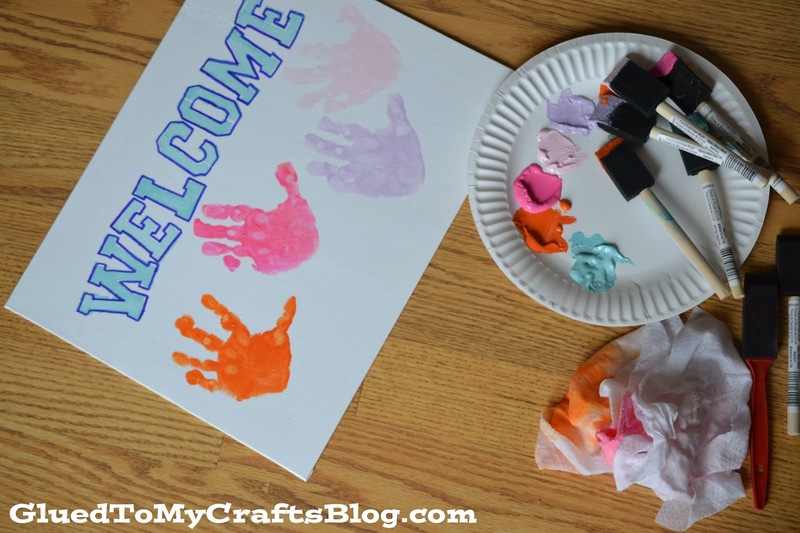 And of course you can leave the “welcome” off and just make some flower artwork with your child. 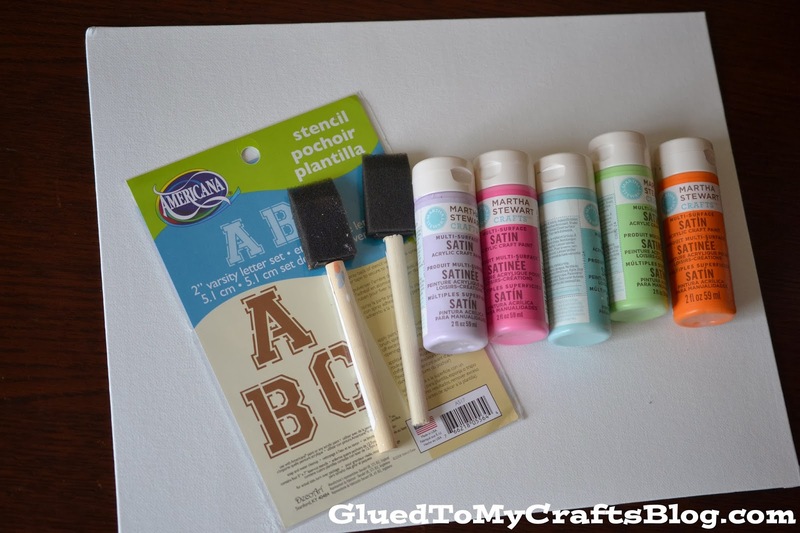 This painted canvas idea would also make a great Mother’s Day gift – hint hint!